Paul Howard Frampton (born 31 October 1943) is a particle phenomenologist. 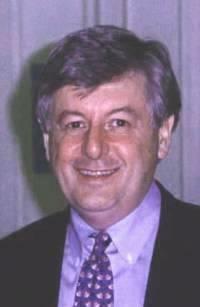 From 1996 until 2014, he was the Louis D. Rubin, Jr. Distinguished Professor of physics and astronomy, at the University of North Carolina at Chapel Hill. Born in Kidderminster, England, he attended King Charles I School, 1954–62, then Brasenose College, Oxford, 1962–68. He received BA (Double First) in 1965, MA, DPhil in 1968, and DSc in 1984, degrees all from Oxford. He is a Fellow of the American Association for the Advancement of Science (1990) and the American Physical Society (1981). In 1987 he was the project director for siting the Superconducting Supercollider, in North Carolina. A Festschrift for his 60th birthday has been published. His DPhil thesis analyzed the relationship between current algebra and superconvergence sum rules, and contained a 1967 sum rule. In 1970, he analyzed the absence of ghosts in the dual resonance model. Three examples of his model building are the chiral color model, in 1987, which predicts axigluons; the 331 model, in 1992, which can explain the number of quark-lepton generations, and predicts bileptons; his proposal, in 1995, of the binary tetrahedral group as a flavor symmetry. All three serve as targets of opportunity for the Large Hadron Collider (LHC). In 2002, he built a model relating matter–antimatter asymmetry in the early universe to measurements possible on Earth. In 2015, he showed that the 331-model predicts long-lived quarks accessible to Run 2 of the LHC. In formal directions, three examples are that he calculated, in 1976, the rate of vacuum decay in quantum field theory; in 1982, he analyzed ten-dimensional gauge field theory, and its hexagon anomaly, precursor to the first superstring revolution; in 1988, he constructed the Lagrangian which describes the dynamics of the p-adic string. For cosmology, two examples are, in 2007, he built a cyclic model which can solve a 75-year-old entropy problem; in 2010, he discussed how dark energy may be better understood by studying temperature and entropy. In 2015, he demonstrated how cyclic entropy can lead to flat geometry without an inflationary era and estimated the time until contraction to be close to one hundred times the present age of the universe. In November 2012, Frampton was convicted of drug smuggling in Argentina and sentenced to 4 years, 8 months, though Argentinian law permits his deportation after he has served half of his sentence. He claimed to have been the victim of a scam after supposedly meeting a model on a dating website, and that he had been tricked by gangsters into transporting two kilos of cocaine hidden in the liner fabric of a suitcase. However, the prosecutor presented evidence of text messages and emails sent by Frampton to who he thought was the model discussing the suitcase, the drugs, and their street value. Frampton's own account of these events was published in 2014. Frampton's first publication was Chirality Commutator and Vector Mesons, in 1967. He has published numerous articles on particle phenomenology. He was the author of a book on string theory, in 1974 (2nd edition1986), when it was still named the dual resonance model. In 1986, he published a book on quantum field theory (2nd edition 2000, 3rd edition 2008). A book on cyclic cosmology, for the general public, was published in 2009. He has published over 500 scientific articles, including the following. P.H. Frampton and Y. Nambu, "Asymptotic Behavior of Partial Widths in the Veneziano Model of Scattering Amplitudes", in Quanta, Wentzel Festschrift, Chicago U.P. (1970). P.H. Frampton and T.W. Kephart, "Explicit Evaluation of Anomalies in Higher Dimensions", Phys. Rev. Lett. 50, 1343, 1347 (1983); Phys. Rev. D28, 1010 (1983). P.H. Frampton and S.L. Glashow, "Chiral Color-An Alternative to the Standard Model", Phys. Lett. 190B, 157 (1987). P.H. Frampton and Y. Okada, "Effective Scalar Field Theory of p-Adic String", Phys. Rev. D37, 3077 (1988). P.H. Frampton, "Chiral Dilepton Model and the Flavor Question", Phys. Rev. Lett. 69, 2889 (1992). P.H. Frampton and T.W. Kephart, "Simple Non-Abelian Finite Flavor Groups and Fermion Masses", Int. J. Mod. Phys. 10A 4689-4704 (1995). P.H. Frampton, S.L. Glashow and T. Yanagida, "Cosmological Sign of Neutrino CP Violation", Phys. Lett. B548 119 (2002). L.Baum and P.H. Frampton, "Turnaround in Cyclic Cosmology", Phys. Rev. Lett. 98 071301 (2007). D.A. Easson, P.H. Frampton, and G.F. Smoot, "Entropic Accelerating Universe", Phys. Lett. B696, 273 (2011). P.H. Frampton, K.J. Ludwick and R.J. Scherrer, "The Little Rip", Phys. Rev. D84, 063003 (2011). P.H. Frampton, "Lepton Number Conservation, Long-Lived Quarks and Superweak Bileptonic Decays", Phys. Lett. B747, 187-189 (2015). P.H. Frampton, "Cyclic Entropy: An Alternative to Inflationary Cosmology", Int. J. Mod. Phys. A (2015, in press). P.H. Frampton, "Possible Duality of CBE and Penrose's CCC Cyclic Cosmologies", arXiv:1503.03121[gr-qc]. ^ Curtright, T.; Mintz, S.; Perlmutter, A. (2004). "La Belle Epoque of High Energy Physics and Cosmology". World Scientific Publishing Company. ^ a b c d e Price, Jay (May 23, 2014). "UNC-CH fires physics professor jailed in Argentina". ^ a b Blythe, Anne (June 16, 2015). "UNC Physics Professor jailed in Argentina wins back pay". ^ Banks, Michael (22 Nov 2012). "Paul Frampton hit by 56-month drugs sentence". ^ Frampton, Paul (2014). Tricked! : The story of an internet scam. ^ Frampton, P.H. (1974). Dual Resonance Models. Frontiers in Physics, W. A. Benjamin. ^ Frampton, P.H. (1986). Gauge field theories. Frontiers in Physics, Addison-Wesley. ^ Frampton, P.H. (2009). Did Time Begin? Will Time End? : Maybe the Big Bang never occurred. World Scientific Publishing Company.